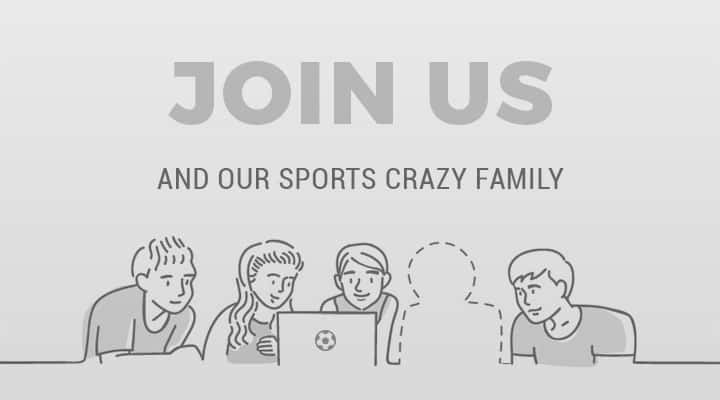 Football rules, that were made to help the players on the pitch, have seen some of the individuals taking advantage of those rules to showcase their acting chops. While some were convincing enough to fool both the audience and the referees, some of them were flat out fails. From the golden days where players like Terry Butcher and Franz Beckenbauer played on with blood-soaked jerseys and dislocated shoulders, we have arrived where footballers are so sensitive that a blade of grass pointing otherwise is enough to bring them to the ground. Even a single empty water bottle is enough to cause a simultaneous concussion to three players. With officials having to keep an eye on a million things, it becomes difficult to spot the actual culprit at the precise moment. But thanks to modern technology, the referees and the fans are able to identify these actors who have tried to be over-smart. In the Round of 16 match against Mexico, 2010 WC finalists Netherlands were on the brink of elimination trailing 0-1 until the 88th minute. Wesley Sneijder equalized for the Oranje, after which Arjen Robben set out to do his work. 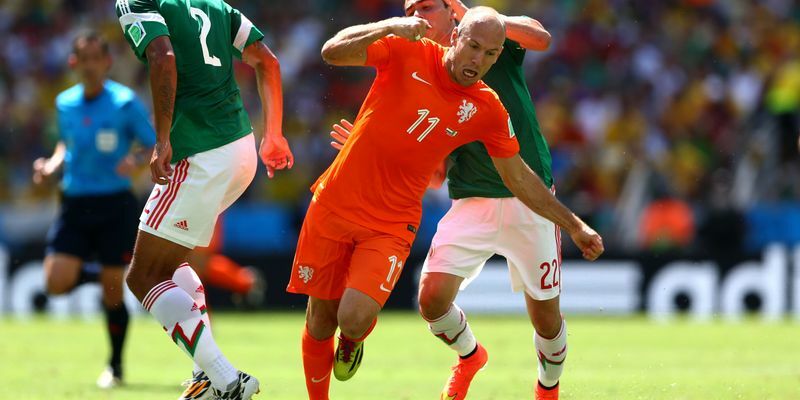 Taking the ball on the right wing, Robben skipped past two defenders to get inside the box when Mexico captain Rafael Marquez tried to poke the ball out of the winger's way. Seeking Marquez's outstretched leg as an opportunity, Robben went down, forcing the referee to award a controversial penalty in the dying minutes of the injury time. Klaas Jan Huntelaar sealed the win for the Dutch by burying the penalty, but the Mexicans were far from amused.Replays proved that there was minimal contact, and Robben later confessed to have dived. But, it was too late to display sportsmanship as Mexico were already on their way back home. Neymar gained the world's sympathy after being kicked in the spine by Colombia's Juan Zuniga in the 2014 World Cup, but the fans of Brazilian club Gremio remember him well for his diving antics back in 2012. Despite being a great dribbler of the ball, the then Santos winger often relied on his play acting to get the better of his opponents. With his lanky frame often fooling the referees, Neymar timed his dives to perfection. Gremio defender Werley charged towards Neymar near the corner and flicked a leg at him. Neymar immediately jumped in the air and went down rolling in pain. The referee booked a shocked Werley, and Santos scored their fourth goal of the game from the resultant free-kick. Kids looking up to Neymar as a role-model-- please do not try this at home or the ground. Doctors are still researching on how a kick to the stomach can affect a player's facial muscles after this incident. In the 2002 World Cup, Brazil were in front with a slender 2-1 lead in their first group-stage encounter against Turkey. Turkish fans were already angry at Selecao winger Rivaldo for the dismissal of Alpay Fehmi Özalan, who then tried to see out the final minutes of the injury time instead of taking a Brazilian corner. With already a man down, Turkey reacted angrily when Hakan Ünsal kicked the ball towards Rivaldo hitting him in the abdominal region. But surprisingly, Rivaldo went down clutching his face and referee Kim Young-Joo sent off Ünsal with a second booking of the match. Though it was a legit red card for the Turk, Rivaldo clutching his face is still ridiculed by many. Despite being one of the best players in the history of the game, Cristiano Ronaldo also has the reputation of going down easily. It is also not the first time that the Real Madrid man makes his appearance on this list. In a match against Chelsea, Ronaldo tried to shake off Frank Lampard with a sharp turn in order to start a United counter attack. But after being closed down by the midfielder, Ronaldo fell to the ground in a theatrical fashion in an attempt to break down the play. But the Portuguese was left embarrassed when he found out that the referee did not buy his act and tried to cover it up by gesturing that he was alright. If you want to see how guilty Ronaldo was, just look at Frank Lampard's smile in the video. This one deserves to be among the top moments of the 2012-13 season. Chelsea were leading 1-0 in the final minutes of a dead rubber against United. Red Devils' fullback Rafael and Chelsea's David Luiz were involved in a tussle, and Rafael seemed to have elbowed his fellow Brazilian once, to which Luiz did not react but continued to fight for the ball. But a second later, Luiz went down clutching his ankle and then looked at cameras with a cunning grin on his face. Rafael was sent off with two minutes from time, Sir Alex Ferguson blasted David Luiz after the match for the absurdly theatrical dive, but it was harmless for United's league fortunes having sealed the title before the Chelsea game. Why Luiz had to dive at that totally unnecessarily moment? No one knows except for the Brazilian himself. Pepe is known to be one of the most physical defenders in the game but his laughably bad acting skills put him to shame in the recent final in Lisbon against Atletico Madrid. 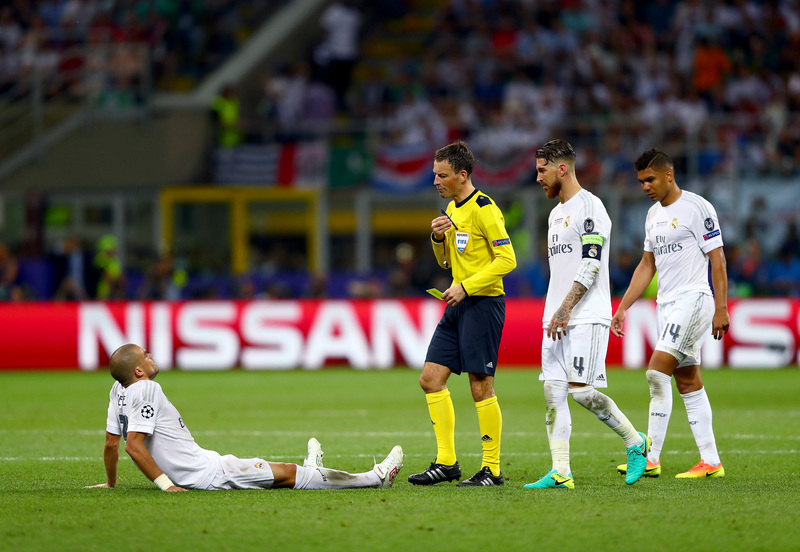 Referee Mark Clattenburg was in a perfect position to see the players when Pepe went down softly inside the box after receiving a shoulder from Felipe Luiz. The Blancos defender then lied on the ground, before Luiz bent down to check if his opponent was alright. Much to the referee's amusement, Pepe rolled on the pitch acting like he was slapped on his face. Clattenburg then walked up to the centre-half issuing a stern warning him against pathetic attempts to waste time. Well Done, Clattenburg! Nicolas Otamendi has become the mainstay of the Manchester City defence with his aggressive tackling and sharp reading of the game. But when a man built like an ox gets knocked over by thin air, the audience have all the right to have a good laugh at him. In an attempt to defend a set-piece against Leicester City, Otamendi tried to get ahead of his opposite centre-half Robert Huth. Otamendi ran into Huth's outstretched arm, which the grazed his shoulder slightly and Argentine went down clutching his face to hide his made-up agony. As expected, he was slammed by both City and Leicester fans for his awful dive. Even Tommy Wiseau's acting in the movie “The Room” was more convincing than this poor attempt from Cristiano Ronaldo. When you are running for the award of World Best Player and do this, it is furthermore embarrassing. In the Champions League group stage match against AC Milan, Ronaldo was chasing a long ball down the left wing, when Milan's fullback Ignazio Abate boxed the forward to force the ball out of play. The defender then tried to get back the ball for a throw-in when Ronaldo suddenly went down in apparent pain. The Milan players were left fuming at this reaction from a player of Ronaldo's stature and had to control their captain Gennaro Gattuso to stop him going for the Portuguese's throat. Act as much as you want Cristiano, but make sure Gattuso isn't around. Simply put, this effort from Barcelona's Sergio Busquets is Oscar level. Barcelona were shut out in the second leg of the semifinal by Jose Mourinho's Inter Milan, and in an attempt to force an error from Inter, Sergio Busquets pulled off this best dive. Inter's Thiago Motta seemed to have put a hand across the midfielder's neck while trying to haul him off the ball, to which Busquets went down clutching his face. Replays clearly showed that the Spain international slowly peeking in from behind his hands to see if the referee had punished the Italian. Motta was sent off, but Barcelona were unable to avoid a semifinal defeat, and Busquets earned himself a title for the best actor in football. Many expected Busquets' dive to be the No.1 on this list, but a combined effort from the entire Barcelona team beats the former by a small margin. As the Spanish Champions celebrated their last-gasp goal in the 3-2 win against Valencia in October 2016, one of the infuriated home fans threw an empty bottle at the celebrating group. Reminding the audience of the slapstick comedy from The Looney Tunes, three Barca players went down in a heap holding their heads. Replays showed that the bottle hit Neymar on the head to which Luis Suarez, Neymar and Javier Mascherano also went down clutching their heads in pain. Stand-in captain Lionel Messi hurled abuses at the fans before Neymar checked if there was blood from the “impact”. The Spanish Football Federation (RFEF) fined Valencia and also had some words for the Barca players telling them to stop reacting too much. Great team effort, anyway!